We all recognise brands such as Mercedes, Barbour, Rolex and Mont Blanc because they are synonymous with not just pre and post-sales advice and assistance but also quality, longevity, aesthetic style and ability to perform under even the toughest of conditions. EcoGrid is known worldwide for all of these qualities but we do suffer from the Hoover effect: we hoover, we don’t Dyson the carpet even though Dyson is now renowned as a premium quality product! In our case all grids ARE NOT the same – please beware of cheap imitations. EcoGrid is made from specially selected recycled plastics, recycled under strict controls at our own production centre in the Bavarian countryside. It is known as Ecoraster across the world (raster is German for grid). In the UK, we like to keep things simple and call it EcoGrid. In 2017, nearly 15 million grids were produced and were used for a massive variety of schemes all over the globe. EcoGrid has been in production for over 20 years and you can therefore imagine just how many projects we have as examples of quality. This is how we can offer a complete, ‘no quibble’ 20 year guarantee on the grids for all uses. Please ask yourself, are you investing in a 6 month (or less) event or for a 30 year plus installation? In which case, don’t look at price, look at quality and value. EcoGrid costs up to 25% more on average than cheap imitations, however EcoGrid will last 500 + % longer… so, to coin a phrase, it’s a “no brainer” really! The benefits of these grids are that they lock firmly together and do not come apart. If grids come apart by hand then they will certainly come apart with light vehicle use then they will lift and break and the surface will become unsafe and unusable, resulting in the lifting of the area and re-installing creating huge end costs. EcoGrid/Ecoraster carries a world patent for its locking system, developed over 21 years of production. 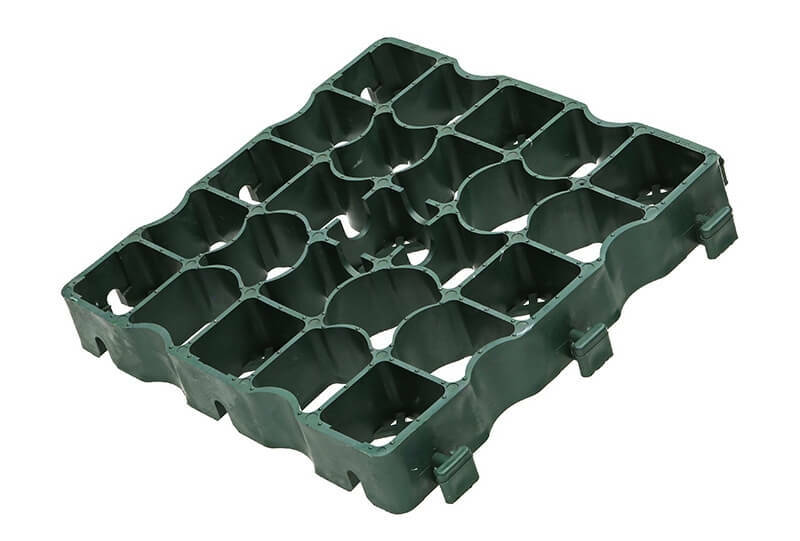 Polyethylene is widely accepted as the best material to manufacture this type of product from, it is highly durable and resistant to all extremes of temperatures and chemicals found in general use. LDPE is the best version of this (low density polyethylene). This material is suitably flexible for the use with vehicular traffic, in short it bends with use and expands and contracts appropriately with temperature variations. 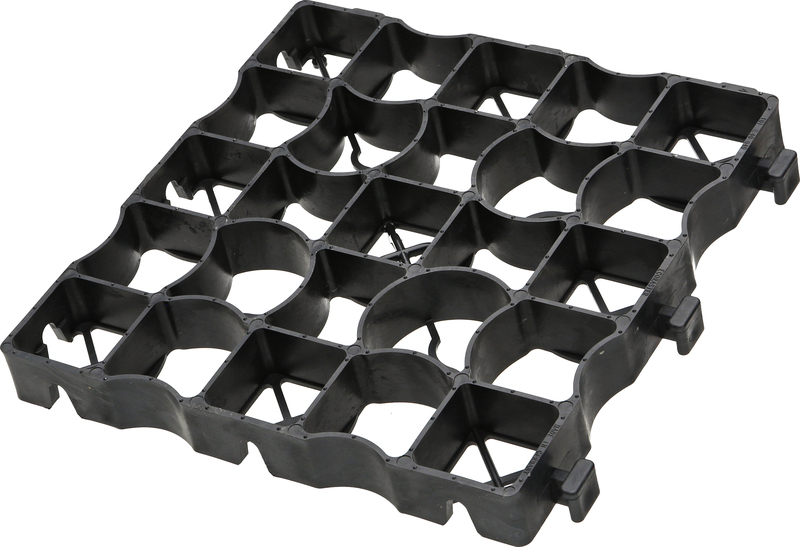 EcoGrid/Ecoraster is made from recycled LDPE. UV is sunlight, however the agent (carbon black) to provide UV stability is an added material. This costs, if one is looking to sell a product cheaply then there is a temptation not to put it in, ensuring that the product will break down within a very short period of time. EcoGrid/Ecoraster is fully UV stable. Plastic either as a virgin material (not recycled) or recycled material at the end of the day costs about the same throughout the world and production costs thereof are approximately the same also. Therefore one way to make the product cheaper is to make it lighter, thinner or a mixture of good and bad plastics. If a grid offered is half the weight of EcoGrid, then ask yourself why? 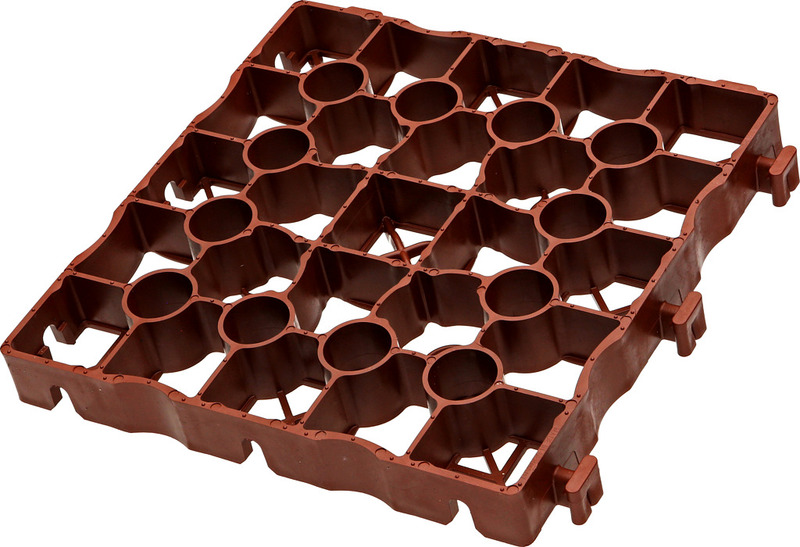 Thin walled products will easily break under the weight of even the lightest of vehicles making the surface unusable EcoGrid/Ecoraster E50 is 9.55 KG per square metre and 7mm wall thickness, the heaviest on the market. 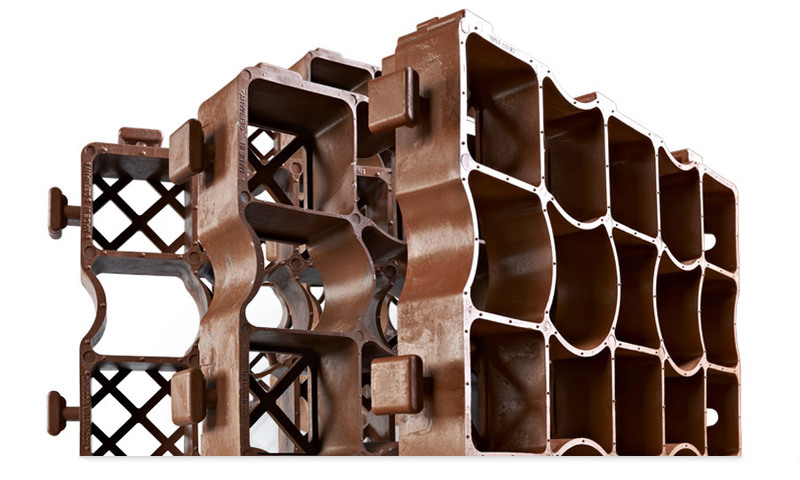 We don’t make it this heavy for economical production reasons but to produce the best quality product possible. All ground conditions vary, no matter how you prepare them, they are subject to heave, settlement and many other factors. Grids should be small enough to take on variations in levels, the smaller the better. Larger sized grids (most offered are 500mm x 500mm) ‘bridge’ voids and produce a springy surface, making it far easier for the grids to flex upwards and allow the surface material to ingress under the grids and make the surface once again unsafe and unusable. Some cheap products are sold with a thin (not to British Standards) membrane pre-attached. A membrane should be placed under the screed layer, a thin membrane attached to a grid will swiftly be punctured easily and quickly making the system useless. A minimum 80g membrane should be used in all or most applications. It is all very well making wild claims about the product but the proof of the pudding is in the eating! Look for case studies pertinent to your use and perhaps even visit the installation. We can supply hundreds of case studies from all over the world for hundreds of applications. Remember: “The bitterness of poor quality remains long after the sweetness of low price is forgotten”. So now let’s take accreditations! TUV certified: This is the European testing organisation similar to the BS standards, they rigorously and independently annually test products for advertised standards and ensure that they comply. They also approve the manufacturing company for ability to supply in quantity, the financial stability of both the manufacturer and supplying agent, stock levels and longevity of supply. NATO certified: The process involved in being a supplier to either NATO or the MOD is massive. The quality of both product and supply company is put under a microscope! Only the best will do for the army. Guarantee: EcoGrid is guaranteed for 20 years, having said this, the product has been in use for over 23 years and anyone can visit the first installation which looks as good today as when it was laid. In short, EcoGrid/Ecoraster is the original product in this field which has been badly copied by all over the years. We sell over 15 million grids worldwide every year and that figure steadily grows year on year. We provide the surfacing for anything from a domestic driveway to an articulated lorry park, from a countryside pathway to a double decker bus station.